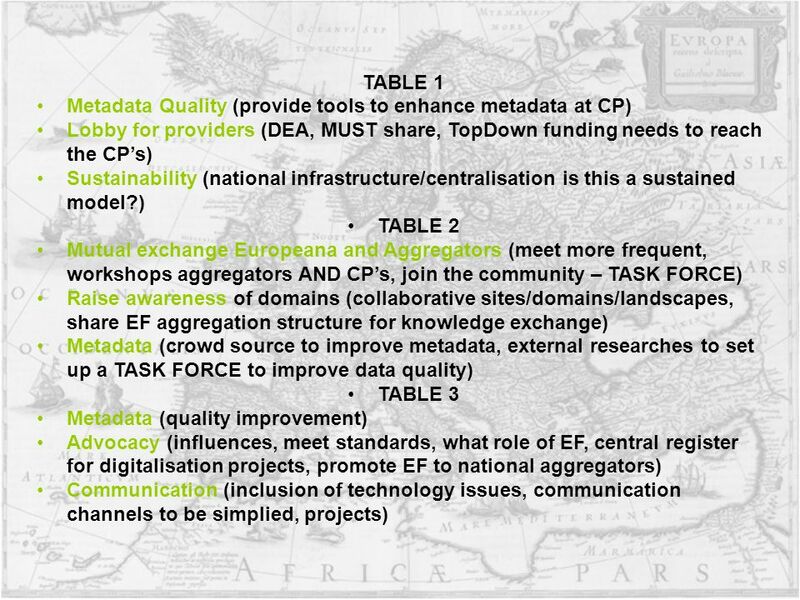 5 Table 1 Aims: communication to have clear role of the different aggregators and the ECs role herein. 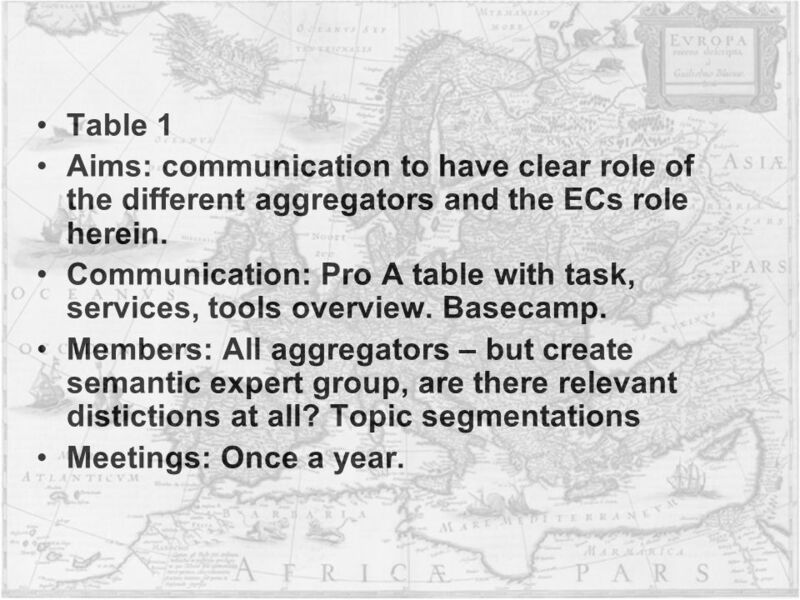 Communication: Pro A table with task, services, tools overview. Basecamp. 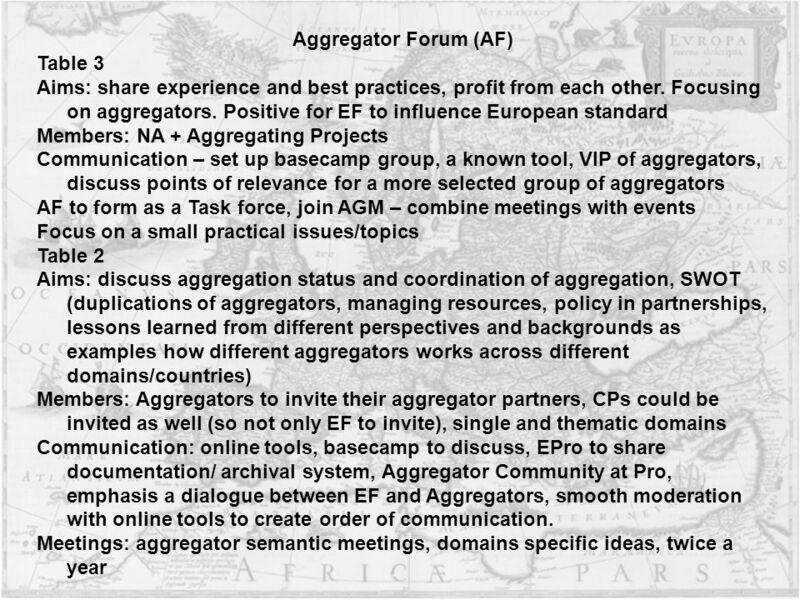 Members: All aggregators – but create semantic expert group, are there relevant distictions at all? 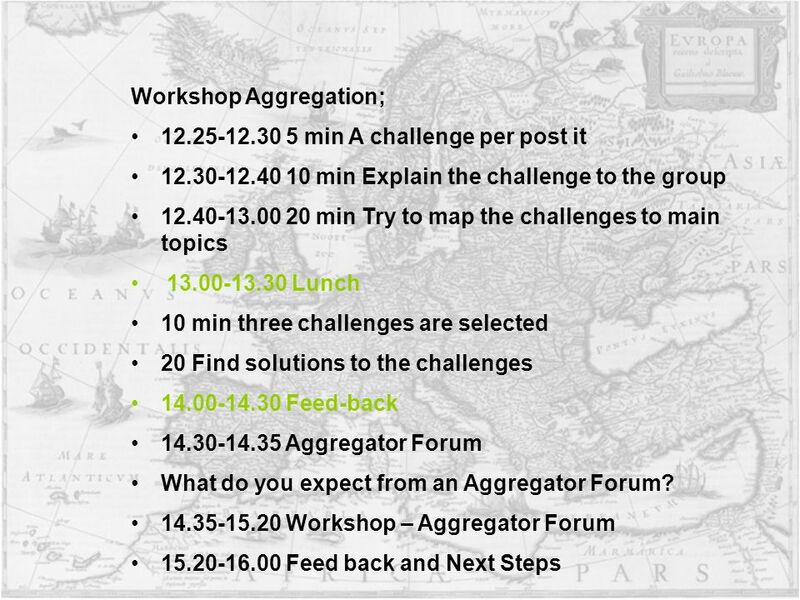 Topic segmentations Meetings: Once a year. 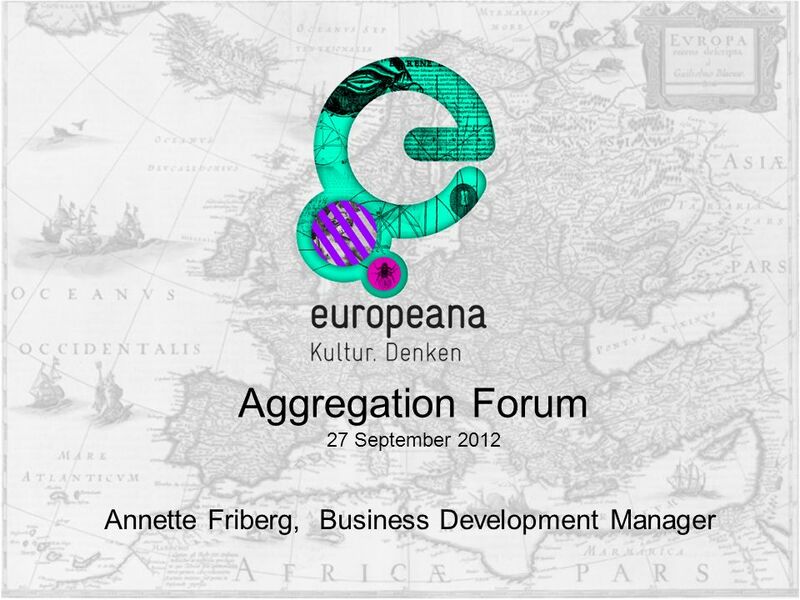 Download ppt "Annette Friberg, Business Development Manager Aggregation Forum 27 September 2012." Conference on Marine Spatial Planning – Supetar, Croatia, September 2007 This project is co-funded by the European Union Conference on Marine Spatial. Specific matchmaking activities Task leader: DLR (D), Co-leader: CONICYT (CL) Co-leader: CONICYT (CL) Lisboa, 26 March 2009 EULARINET – WP 2 Task 2.2.